In one week I’ll be done with the classroom portion of my time abroad… nuts! I’m staying in Europe for the majority of the summer to travel and volunteer a bit, and so ready for a change of pace and fresh adventure! 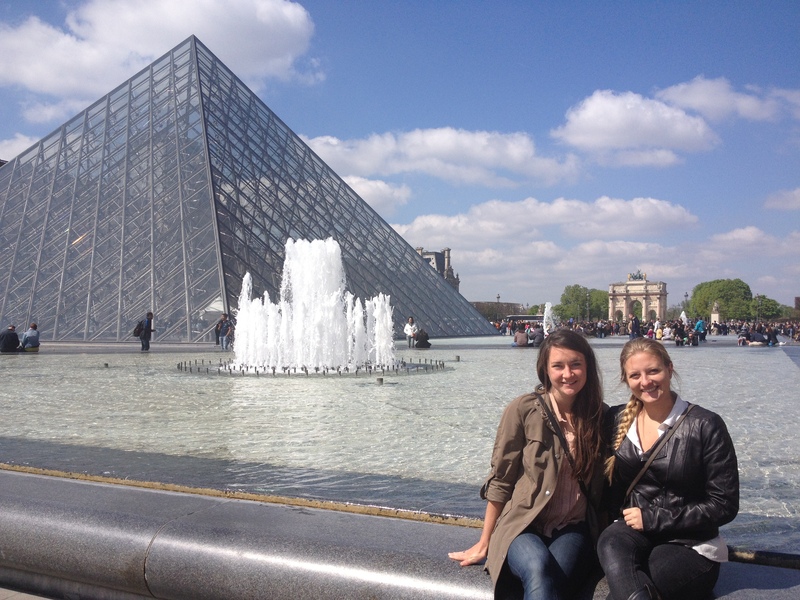 Recently I had the opportunity to go to Paris! With all the hype, fantasy, and dreaminess that surrounds this city I was a little skeptical, almost going as a sort of obligation (I am in France, after all). 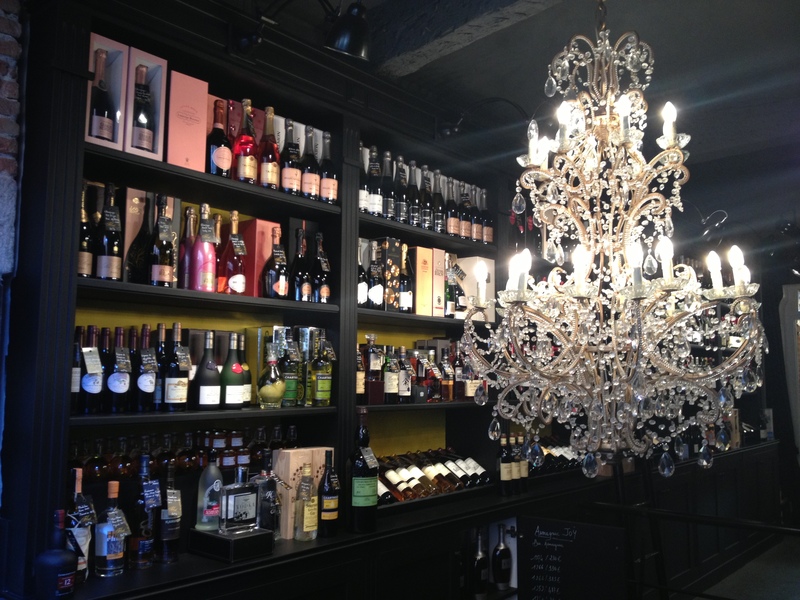 Well I can now safely say that Paris is worth all the fuss… it’s magical! It’s a city made for wandering, my specialty, and while my friend and I hit up the major tourist spots the majority of our time was spent walking, exploring, and running into the most beautiful things by accident. I have plans to go there again before I leave for the States, and I’m sure that there is an entirely new adventure waiting. 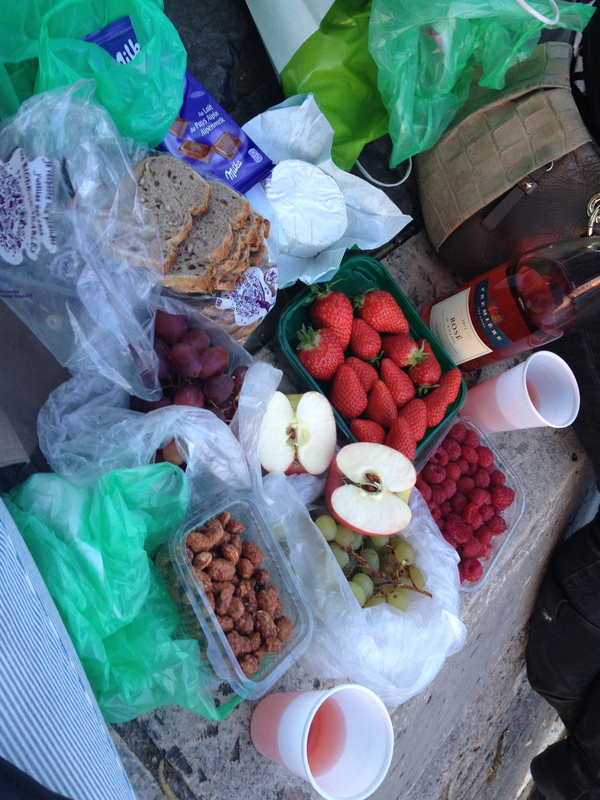 Picnic of my favorite things on bank of the Seine! I recently finished up my volunteering at Alliances et Cultures, an organization that promotes equality and fights discrimination in their community through a variety of channels: cinema, ludotheque (think library of games), community planned vacations, classes, help navigating the crazy French administration system. I helped with homework and taught a bit of English with their after school program. It was challenging, but a great example of how to unite a very diverse community in practical and useful ways. Now I’m off to study for final exams, write a giant paper, and prepare a presentation… I’m sure many of you are doing similar things. Bon courage! Posted on May 1, 2013 Author taylor mannCategories Academics, TravelTags Europe, FranceLeave a comment on Winding Down? So it’s been a while! 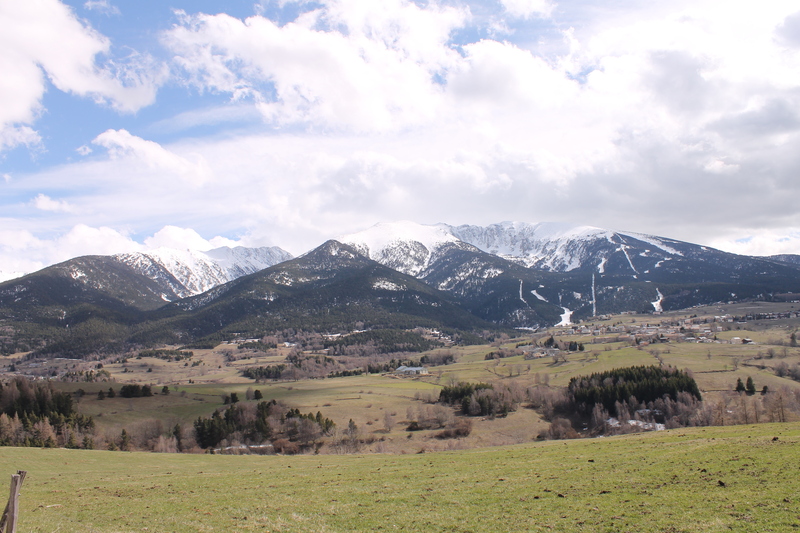 But here is a quick recap of the research project (and other random adventures) that I did in the beautiful Pyrenees-Orientales of France! For one of the days I met up with a dearly cherished new friend (thankfully, you tend to make those while studying abroad) who was placed in a nearby village and we took a bus to the most beautiful mountains on the most glorious day with the best baguette ever in hand! It was perfect! The bus dropped us off in the sleepy little village and we somehow made our way to the mountain (which was farther away then it appeared). We essentially just made our own path the whole day, through the fields and hopping creeks until we finally got to the forest-y part of the mountain… and then we just continued to make our own path since we couldn’t find the actual trail. Really can’t use enough superlatives to describe this day… THE BEST! I really bizarre thing for me is the proximity of other countries in Europe. One day my host family casually suggested that we “go to Spain for lunch.” I can’t get anywhere cool within a half hours drive radius from my house (no offense, southwest Michigan), but before I knew it we were in Spain! 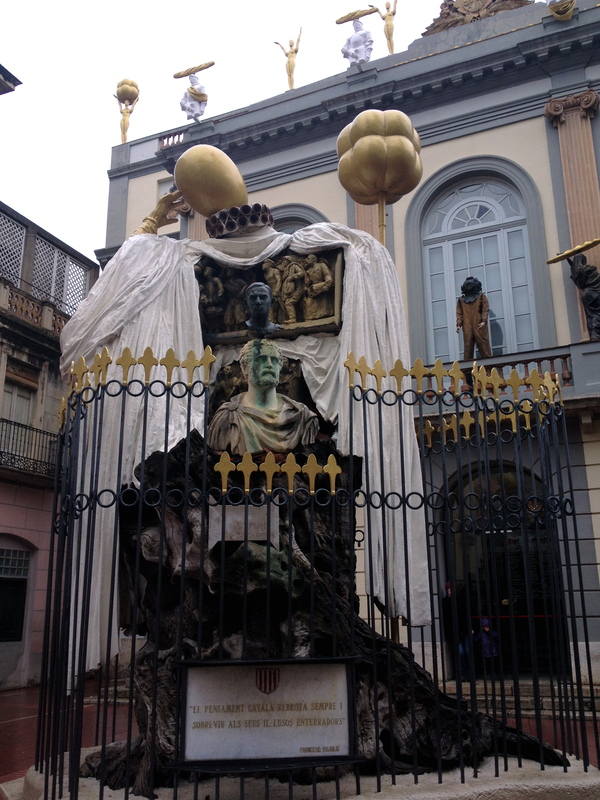 And better yet, we visited the Salvador Dali museum! Yeesh what a nut! I love every bit of his surrealist craziness… as well as the tapas we had afterwords. Wonderful! 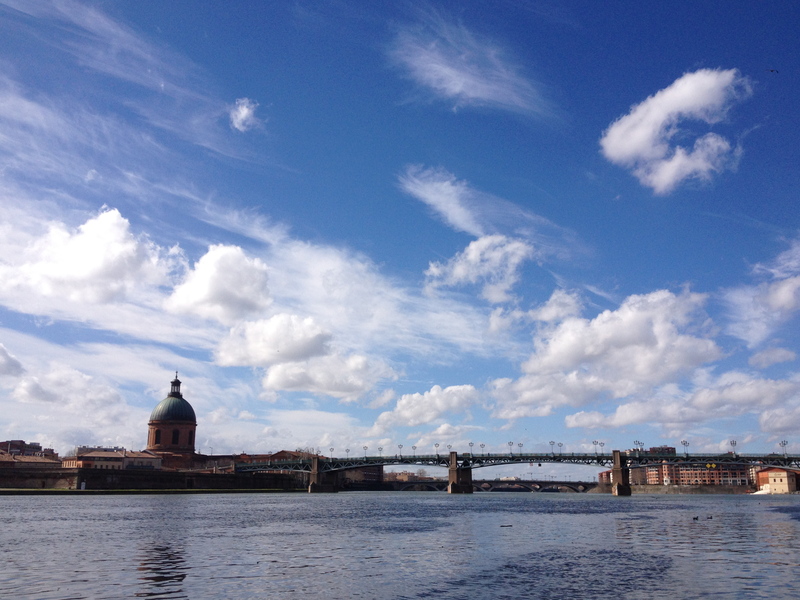 Next up, an update on my weekend in Paris and my volunteer project I’ve been doing in Toulouse! À bientot! I’m currently in the midst of a two week village study in an even more southern region of France! I’ve been quite busy and discovering a multitude of things, so I’ll do updates in installments as not to overwhelm. 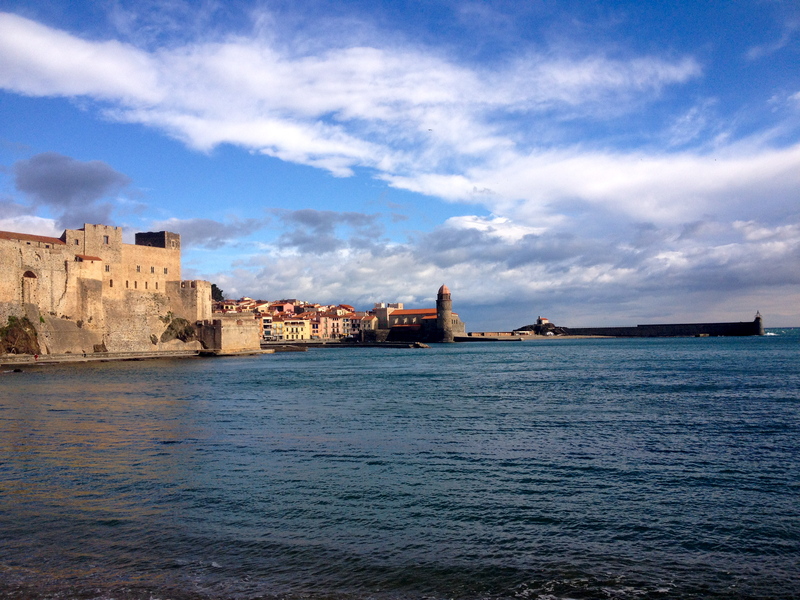 The first three days were with the whole program in the most beautiful city, Collioure. 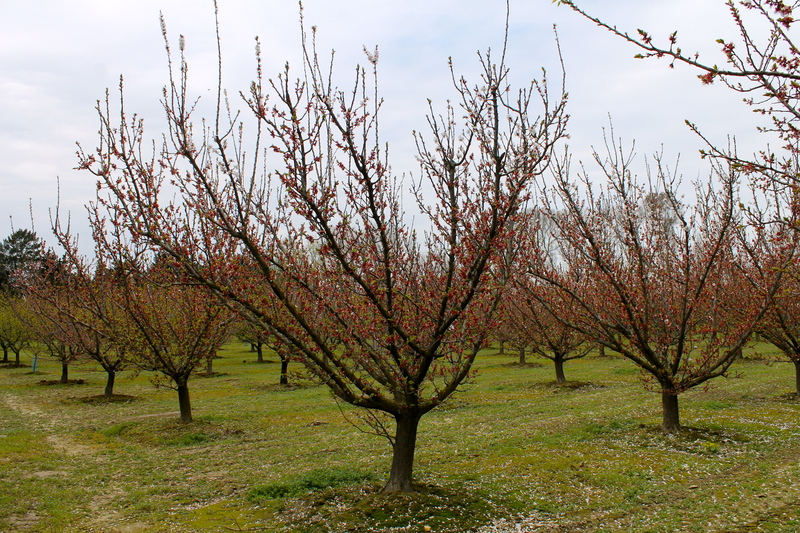 It’s right in vineyard, ocean, mini-mountain territory and just a hop away from Spain! 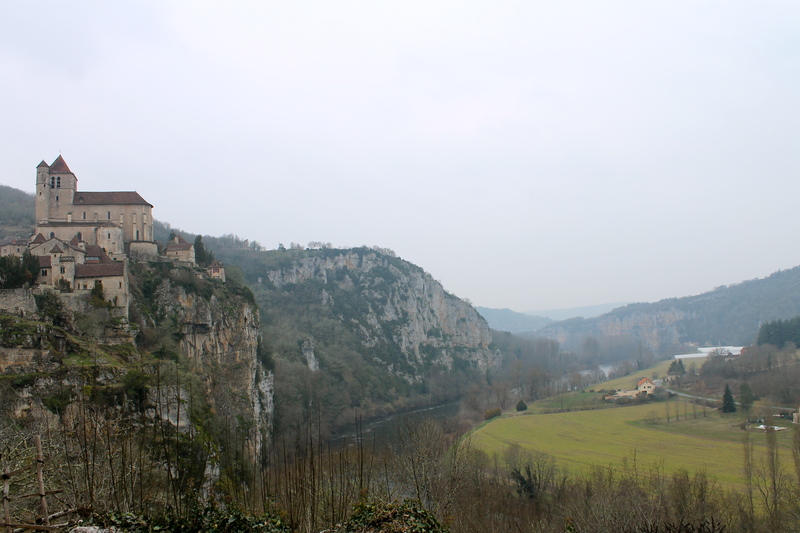 Here we discovered a bit of the history of the “Retirada,” a movement of Spanish refugees to southern France in the late 1930s to escape Fascist persecution. Actually, it just so happens that we hiked one of the paths that some of the 500,000 Spanish immigrants used! It was a bizarre sensation to be in one place and speaking French, walking for an hour or so, and then being in a new country and completely at a loss for words. We had lunch in the little Spanish village we hiked to and it involved a lot of creative communication. Also in Collioure, we began looking at the history and current state of Catalogne culture. Catalogne is a cultural region that is mostly in Spain (with Bareclona as its capitol), but it reaches into the south-eastern regions of France. The language and culture are alive and well in the Spanish region, however they are fading in France. This is largely due to France’s extremely centralized education system which determines much of the curriculum for all schools in the nation. Nevertheless, there were plenty of red and yellow flags and donkeys (symbols of Catalogne) to be found. Time is going so quickly, my mind is perpetually confused in some non-existent and illogical time frame. My french language classes are coming to a close this Wednesday (hooray!) and Thursday I leave for a two week home stay in the mountains!!! Near the ocean!!! 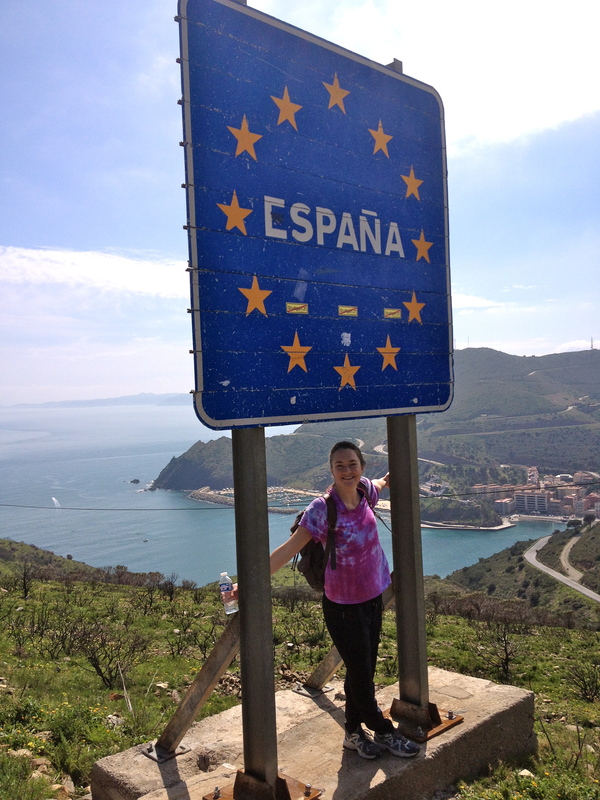 And a only a day-hike away from Spain!!! I’ve been looking forward to this trip since I started going through the study abroad application/decision making process, which was about this time last year. Although lately I’ve been feeling much too into a routine for my liking, the past couple of weeks have certainly been full of their own adventures and random surprises. Here is a quick photo recap of some definite highlights! 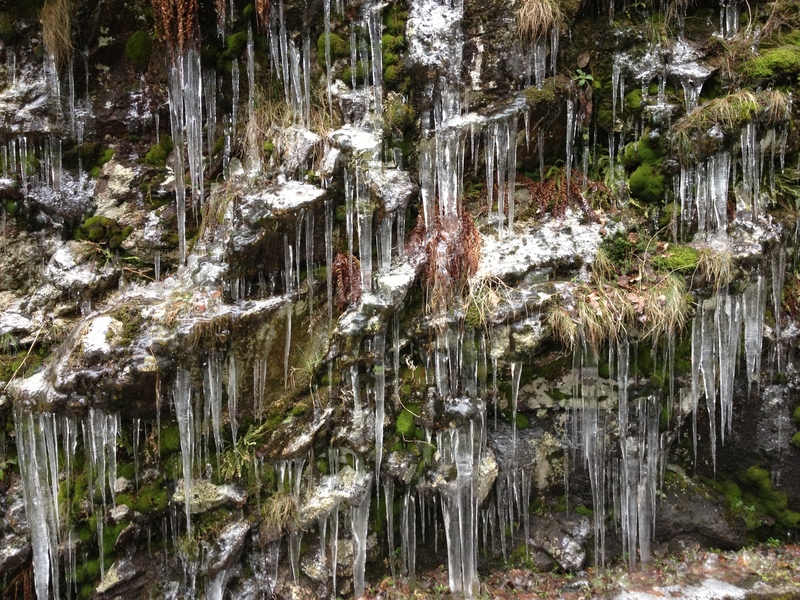 Icicle wall from a hike in the French countryside. A benefit of less-than-warm and very sporadic weather is icicles mingled with moss. Cheese, wine, and bread. This was one of many glorious moments where French food stereotypes prove themselves true. 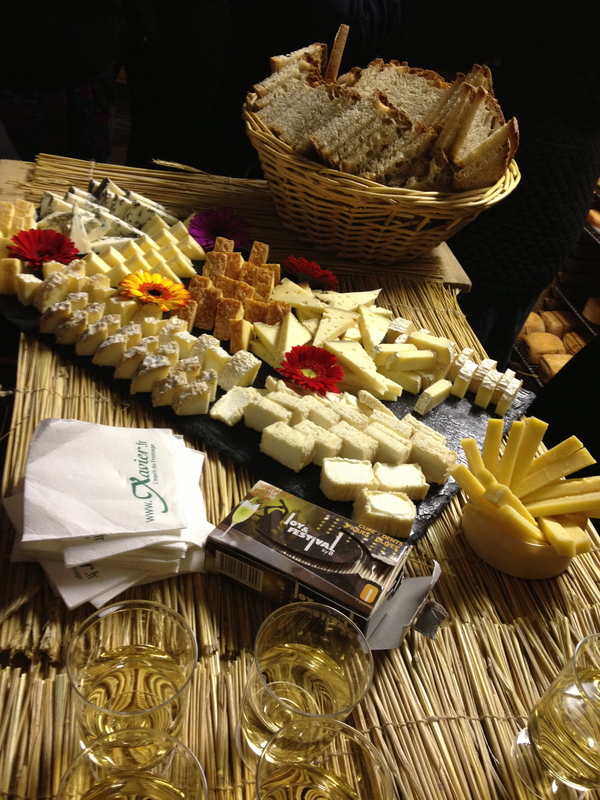 This is the cheese cave at Chez Xavier, one of the best cheese stores in France and certainly the best in Toulouse. 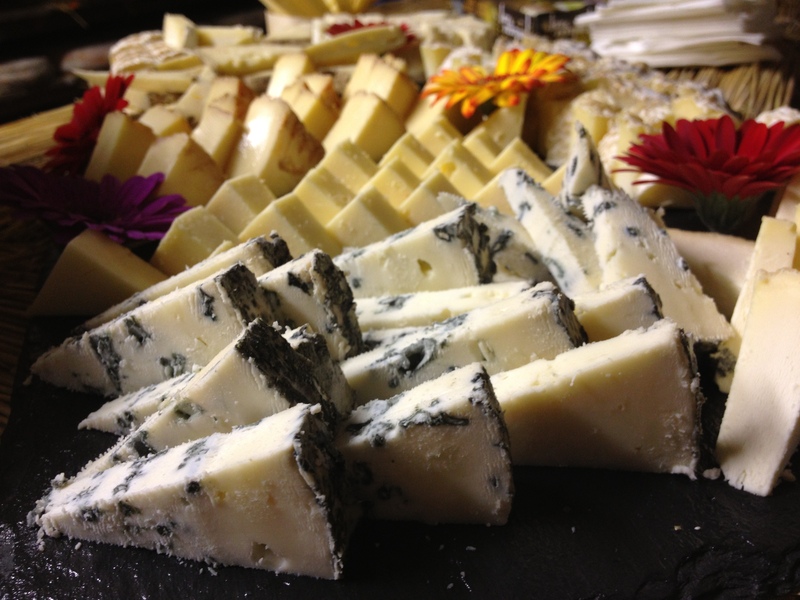 It’s quite the complicated process to produce these cheeses! Some surprises in the city! During downtime between classes and volunteering we often wander the streets and browse the through the shops (and botanical gardens?). 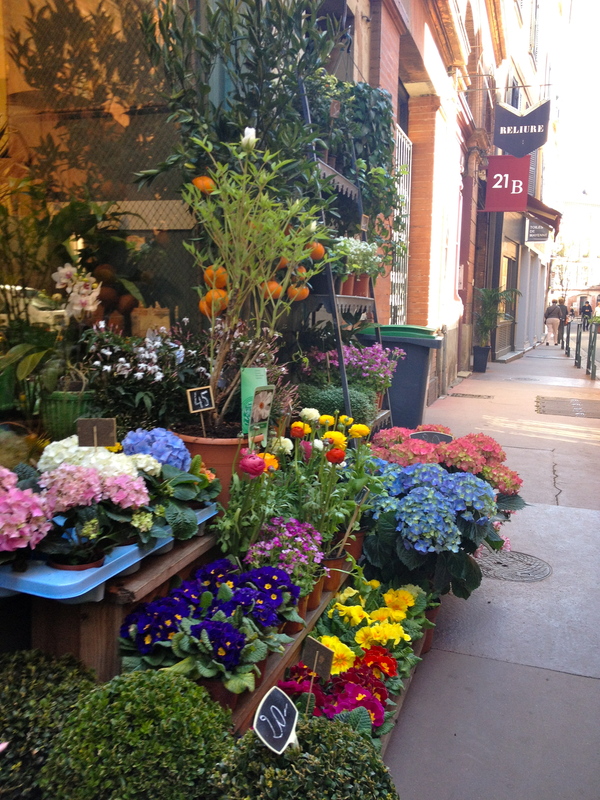 Toulouse has a a relatively small, but very concentrated down town area so there is always plenty to explore and stumble upon! This is the gospel choir that I sing with on Thursday nights with my host mom. Quite the experience! 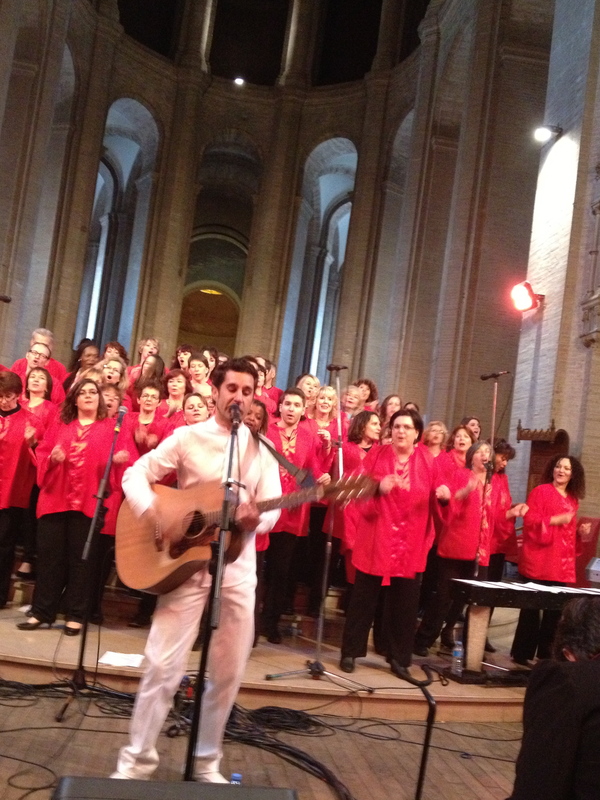 I wasn’t able to perform this Sunday because I don’t know all of the songs yet, but hopefully next time I’ll be able to join in with certainly the most animated gospel choir in all of France. 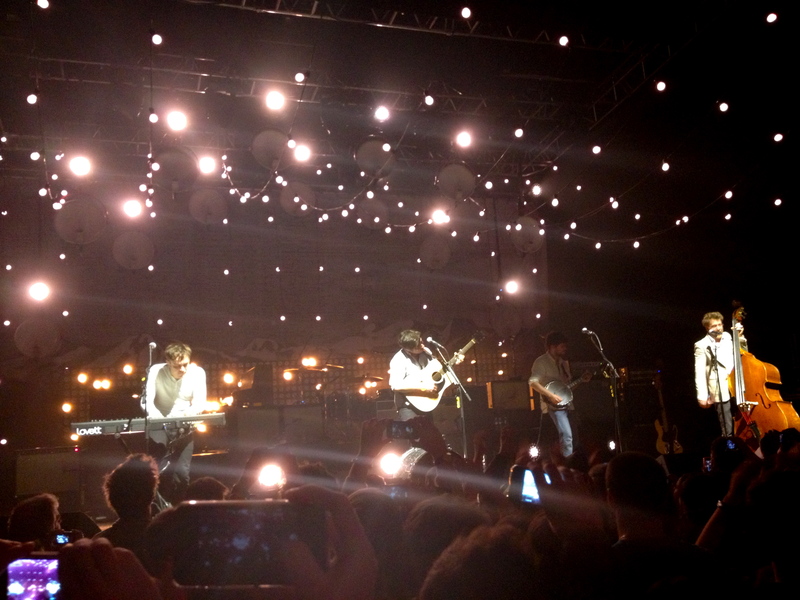 And last but not least, I saw Mumford & Sons!!! They were playing in Toulouse and I snagged a ticket via Facebook and a healthy dose of faith in humanity (which proved successful and not naive. Yay!) It was my second time seeing them live (the first in the U.S.) and it was certainly a very different experience, but very much cherished! Next time I write, I hopefully be in a little mountain village! Okay, perhaps this photo is a bit deceiving as today we got snow in Toulouse, but a few short days ago this was life after classes, sun-bathing on the banks of the Garrone. Such bliss!!! I seem to have somehow entered a glorious place in my study abroad experience: the demands of the language are not as exhausting as they once were! When I first arrived listening and speaking French sucked the energy right out of me. This would then lead to a vicious cycle of blank stares and quizzical looks as my exhausted mind tried and failed to find the French words for “Sorry, I don’t understand.” Of course I suppose I’ve been improving slightly everyday, but I know feel like I have finally come to a place where (hopefully) my progression will be more fluid. And as it turns out, the ability to speak someone’s language makes friendships much more interesting and natural! This past weekend, a friend from the program and I went to a surprise birthday party. It was a blast and full of French (read “better”) versions of American food! We contributed these little guys to the party. 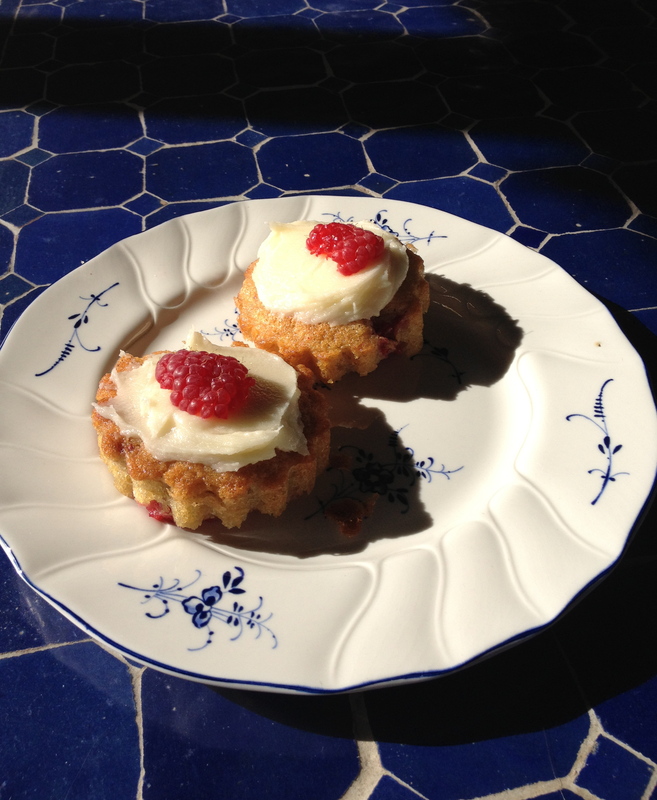 They were an all-around success considering we had to translate the recipe from French. Despite buying two cartons of milk when we needed two spoonfuls, we somehow managed to pull it off. And in other random and wonderful news, I live right next to a veterinary school. Why is this exciting!? Because their grounds are open to the public! 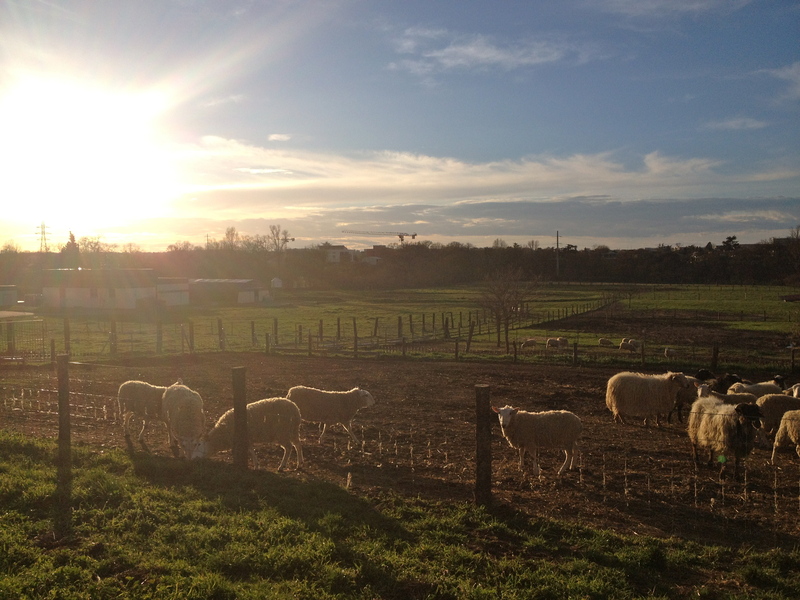 This means I have a wonderful place to escape the city and bond with some French farm animals. The random joys! 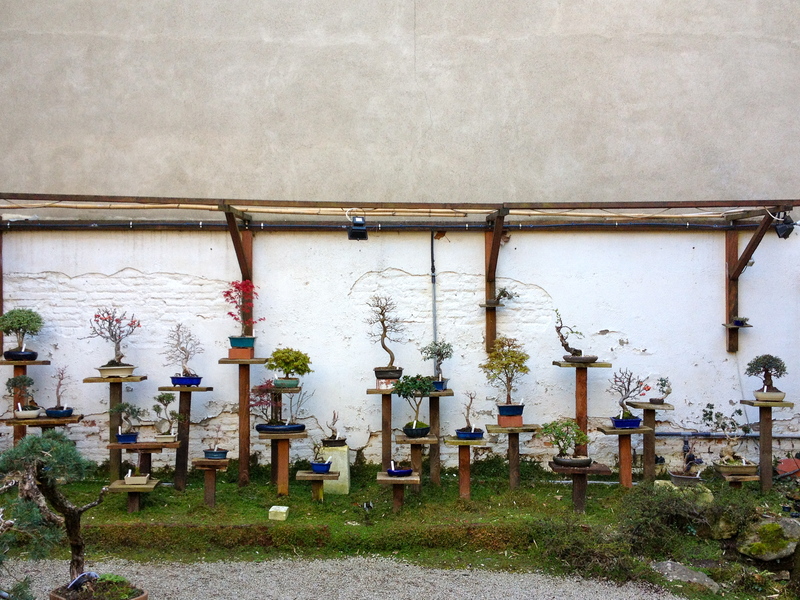 Last weekend I went to the Lot, a department in the south of France, with my program. Lot personifies and surpasses all the cliché images that come to mind when you think of southern French countryside. When we first arrived we explored a prehistoric cave, bison and mammoth cave drawings and all! It was absolutely incredible, however I was unable to take pictures as it damages the paintings. We stayed at a hostel called Eco-Oasis, a charming and eco-friendly place nestled in the foothills. 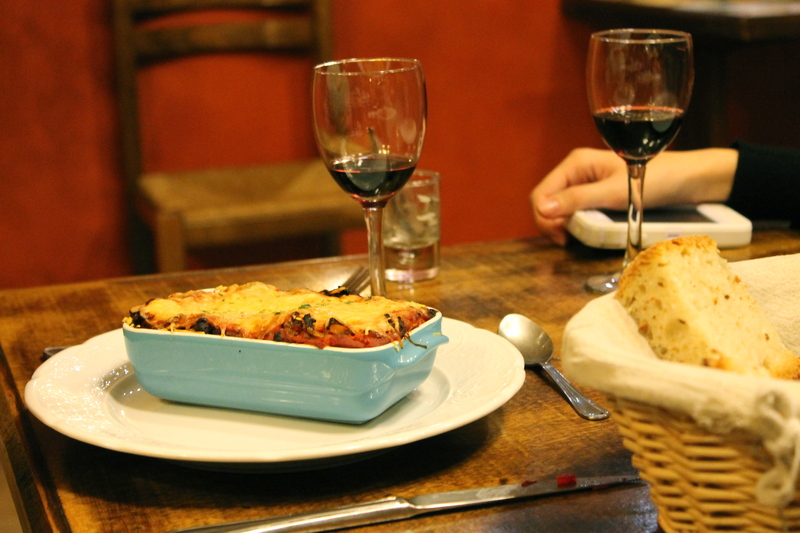 It is run by a wonderfully kind couple who cooked the most delicious, organic meals! I could go on forever about the food in this country, especially the bread! We did a fair share of hiking, but it did not come close to compensating for my gorging on the multi-course meals. The hike was cold, but we prepared with absurd amounts of layers. We hiked to St. Cirque Lapopie, a very small village that was voted the most pleasant in all of France. Apparently in the summer it is constantly packed with people, but we had it all to ourselves. And right on cue, it started snowing in the most magical way, fat flakes with no wind. 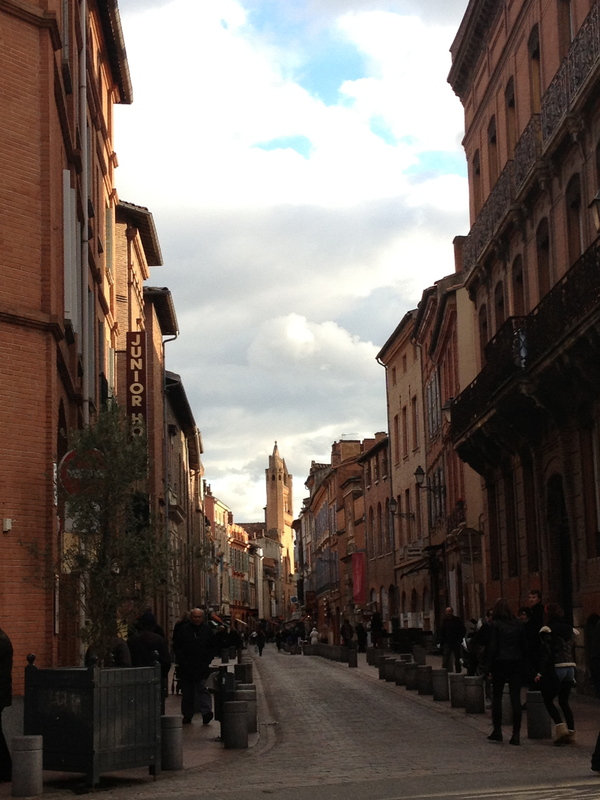 And back in Toulouse, the city is transforming! As we transfer from winter to spring, the warmth brings everyone out into the streets with music and costumes and wonderful antics! If I was still getting lost everyday, it would be like living in an entirely new city all over again. Yesterday for the first time in my life, I experienced mountains with snow! 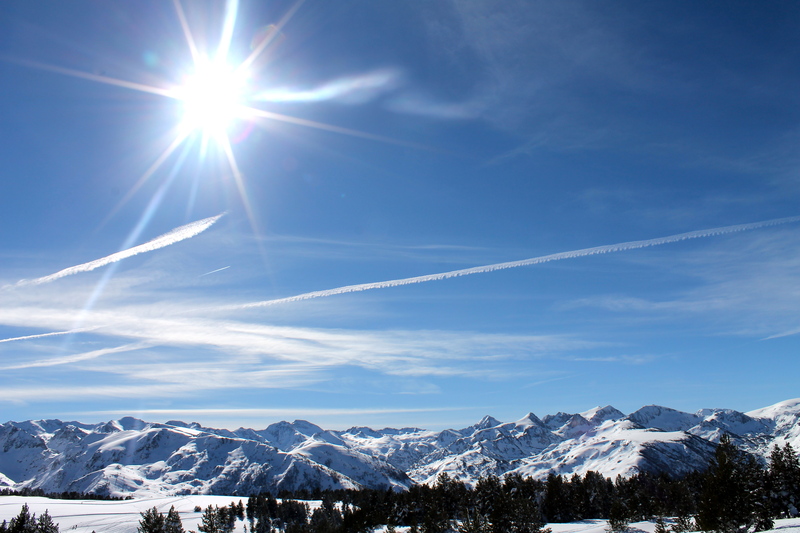 I had the chance to snow shoe in the Pyrenees and after that day visit, it’s fair to say I’ve fallen in love with those beautiful mounds of earth! It was also my first time out of the city since I’ve been here making the experience even more cherished. 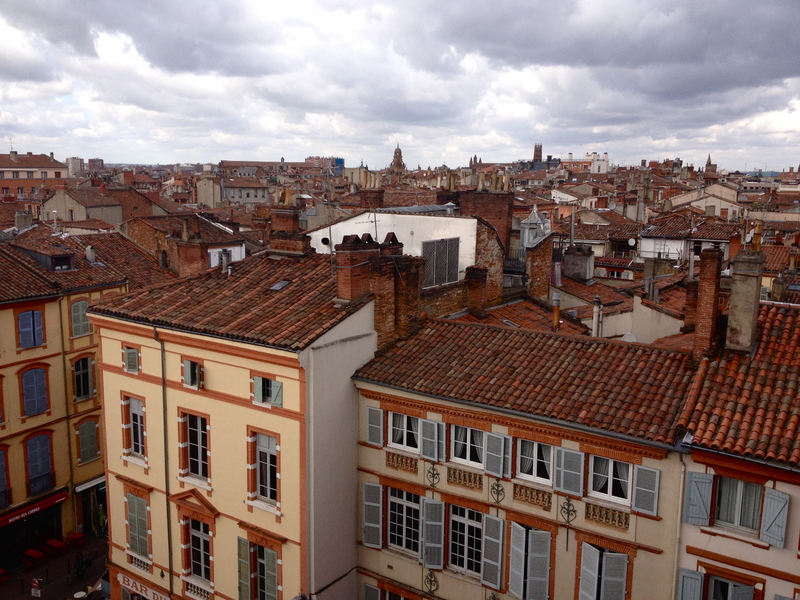 I am thankful to now feel more settled into life in Toulouse; the language barrier becomes a little less imposing everyday, I love my homestay, and I’m now in a routine with classes. For my volunteer project, I’ve been placed in an afterschool program called Alliances et Cultures. This past Friday we made pancakes (being the only American I was considered the expert on this subject). It was essentially chaos, but very much welcomed. Something I’ve found here is that people are generally quieter, so the noise and energy of the kids felt familiar (despite not understanding what they were yelling about). Amidst the foreign and the familiar, each day I find myself deeper into a beautiful predicament: I fall more in love with France, and more in love with America with every uncovered nuance. The particularities of French culture further define the uniqueness of life in America. I suppose only time will tell how this quandary will play out, but for now I am thoroughly enjoying what I’ve discovered thus far, and I am very much ready to see more!